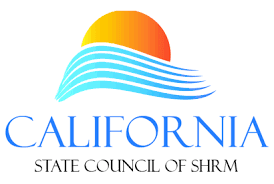 Thank you for considering membership in Central California SHRM (CCSHRM). For many years, Human Resources professionals in the Central San Joaquin Valley have been meeting for the purpose of professional development, networking and career enhancement. Today, there are close to 200 members of CCSHRM representing a wide spectrum of industries and employers throughout the area. By joining CCSHRM, you can become affiliated with the largest and most progressive organization devoted to the Human Resources professional in all of Central California. Monthly meetings featuring speakers on topics of current interest to HR professionals. Meetings are held on the third Tuesday of each month with the exception of December when no meeting takes place. The luncheon meetings are held at TorNino’s Banquets, 5080 North Blackstone Avenue in Fresno. Networking opportunities are available to share ideas and develop professional relationships with other men and women in the human resources field. Opportunities to give back to our community are available through the donation of your time and/or goods through various drives throughout the year. Gain leadership experience by participating on a committee or becoming a member of the Board. Access to the chapter website and all its resources is available for members at www.centralcalshrm.wpengine.com. This website includes listing of our Board of Directors, active committees, calendars of events, CCSHRM code of ethics, a member directory, official by-laws, access to job opportunities board, information on professional certifications and scholarships and links to our state chapter, CalSHRM and our national society, SHRM. Monthly newsletters are emailed to each member before each monthly meeting with updates and current information of interest to HR professionals. This CCSHRM resource also highlights chapter activities, professional development opportunities, legislative news and other items of interest. Professional certification is directly available through CCSHRM from SHRM. Additionally, formalized study group opportunities have been established to allow you to study with your peers to successfully prepare for your certification exam. Legislative updates are regularly available to our members. These updates include the latest in legislative development on the national and state level. Opportunities also exist to visit lawmakers in Sacramento as part of the annual legislative advocacy day. Job opportunities are available through the CCSHRM website. These listings are available free of charge to CCSHRM members. Affiliation with SHRM, the premier national human resources organization, is directly available to you as a member of CCSHRM. The Board of Directors of CCSHRM strongly encourages you to join SHRM as well when you apply for membership in CCSHRM. By joining both organizations, you will immediately begin receiving the exceptional benefits that will enhance your human resources career most effectively. The annual membership fee for CCSHRM is $40.00 per year for HR Professionals who are active national SHRM members and $99.00 per year for HR Professionals who are not members of SHRM. The annual membership fee for vendors is $175.00. 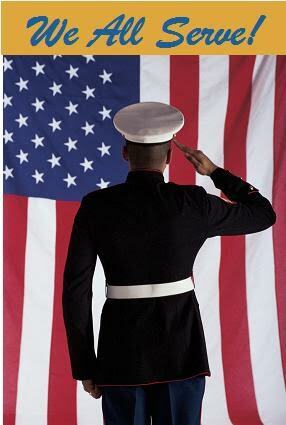 All Memberships are by anniversary date, and expire 12 months from the date you join/renew your membership. Your dues payment will provide you with all of the privileges of regular membership. Monthly luncheon costs and other fees such as those for the certification exam will be at an additional cost.